This time capsule is similar to the 18x4x18 (which is wider and skinnier than the one here)x15" - you get a full 18" of width for larger items. 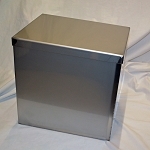 Measuring 18" x 4" x 18", this large but skinny Venus Time Capsule Box is the capped style and is stainless steel. 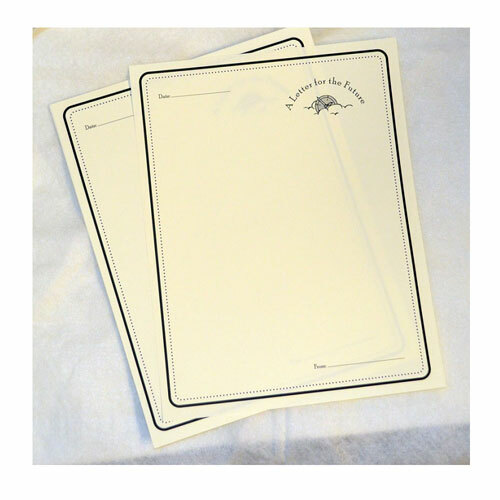 Works great for wide items such as scrapbooks and large photo books. Its cap is on the 18x4" end. The Venus Time Capsule reminds us of a really skinny but large computer CPU. 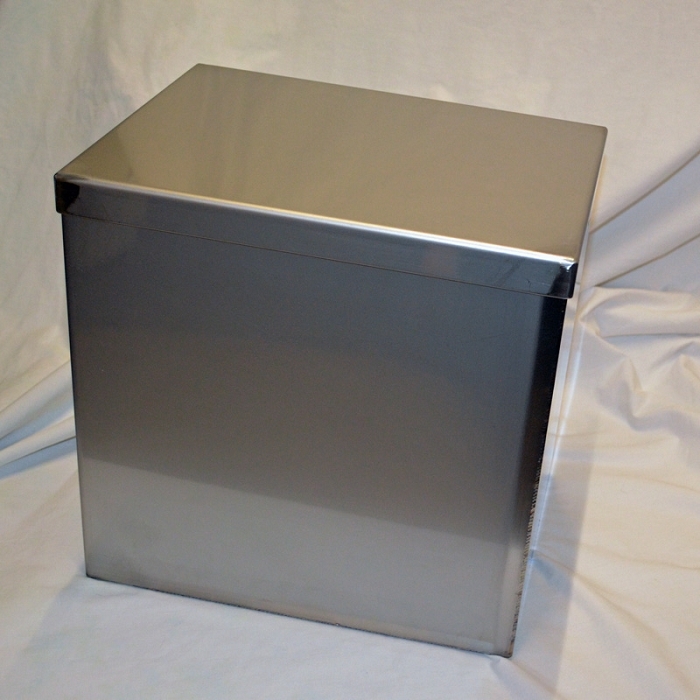 It measures a full 18" x 4" x 18" on the inside and is made of 304 stainless steel. The cap measures 18x4". 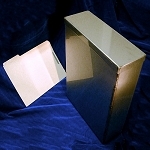 The Venus time capsule has a capacity of 1296 cubic inches or .75 cubic foot. 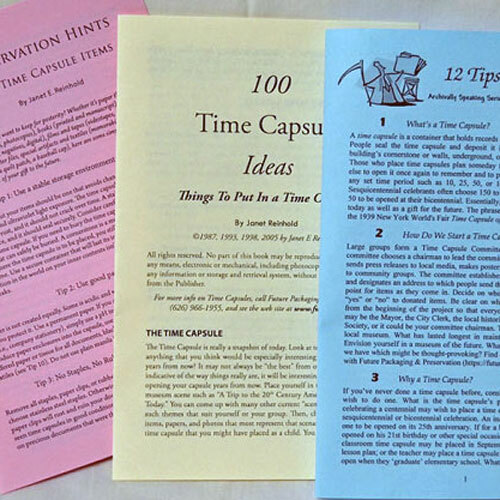 Although dependent on the actual size of your items, the size of the Venus time capsule provides extra width and will holds up to about 210 standard document type items. 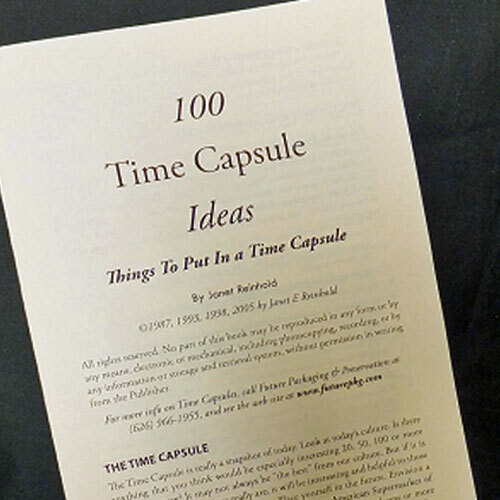 Because of its 4" width and additional width, the Venus time capsule is designed for time capsules that are placed inside of a building's wall. Your capped cornerstone order includes the following items at no additional charge. 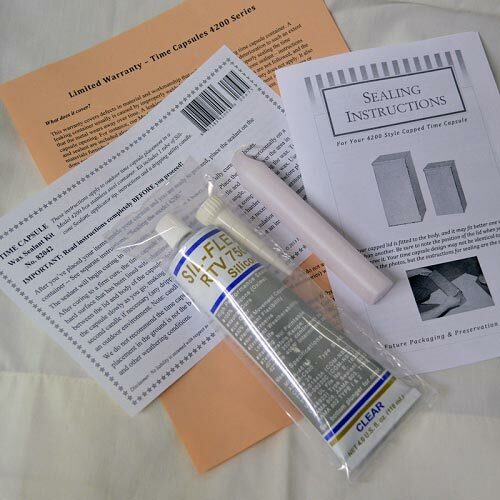 For more supplies to protect items, order a preservation kit or separate packages appropriate to your items. The time capsule is air tight after sealing. It is made of low corrosion stainless steel. It has a satin finish with welds polished smooth. 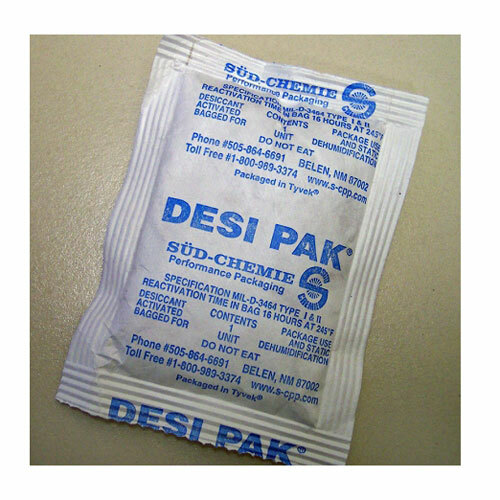 It is water resistant, but should not be sitting in water over a period of 2 weeks (provide a way for the water to drain away). While its expected life is 75 years, the longevity of the time capsule protection can be more or less, depending upon the customer's conditions of placement. 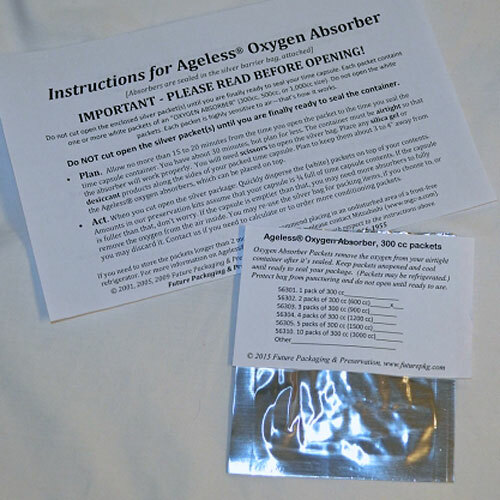 Use common sense and read all instructions that come with your purchase. All of our box time capsules come with sufficient packing to protect them from damage in transit. 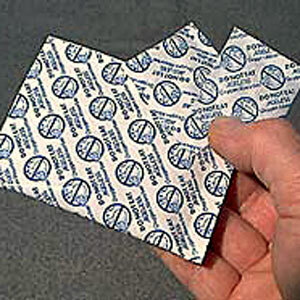 The packing may include foam insulation panels. 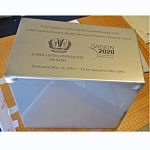 You may place these panels around the outside of the time capsule while in placement. The R value is not high, however, so especially if you place the capsule near any outside wall, you need to think about how much insulation you need for your conditions, and add more if necessary for that placement.